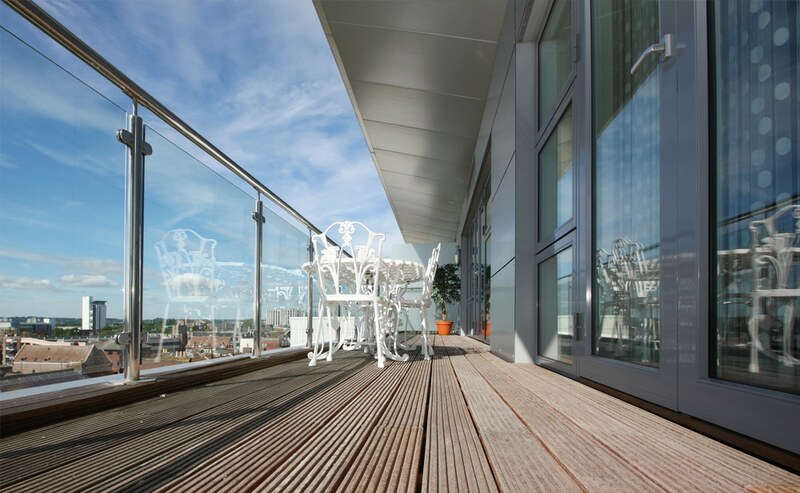 SMART are specialists in stainless steel and structural glass balustrade systems. 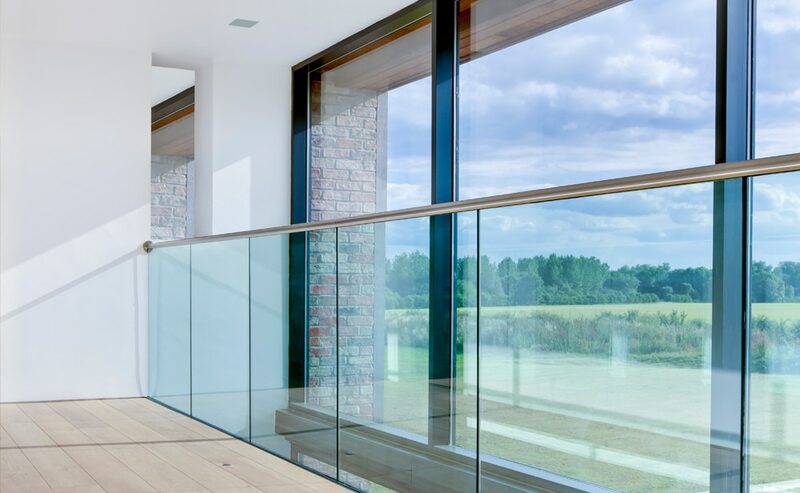 SMART Structural glass balustrades offer a perfect mix of robust performance and minimalistic design. By having no vertical steel intrusions SMART structural glass offers uninterrupted, seamless views enabling the building to receive maximum natural light. This makes it the perfect application when landscape and clean lines are of the upmost importance. 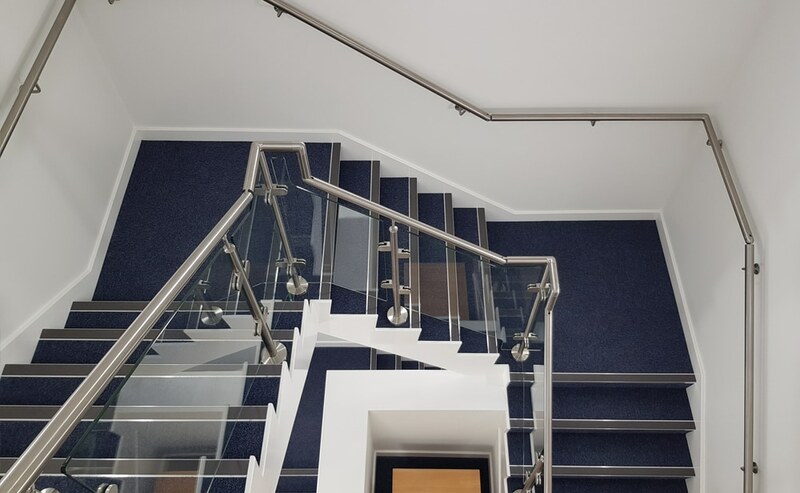 With our wide range of aluminium base tracks and glass thicknesses we can confidently supply and install balustrades that meet 0.74kN, 1.5kN and 3kN loadings. 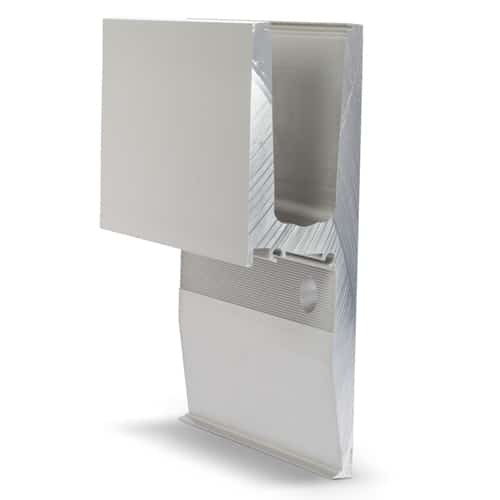 At SMART we offer a complete supply and install service and we are more than happy to put of 60+ years’ experience to good use by advising the best fixing method for your project. 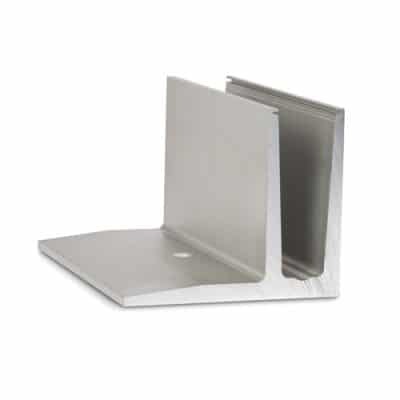 SMART Stainless Steel sets the bench mark for quality with tubular stainless steel systems. 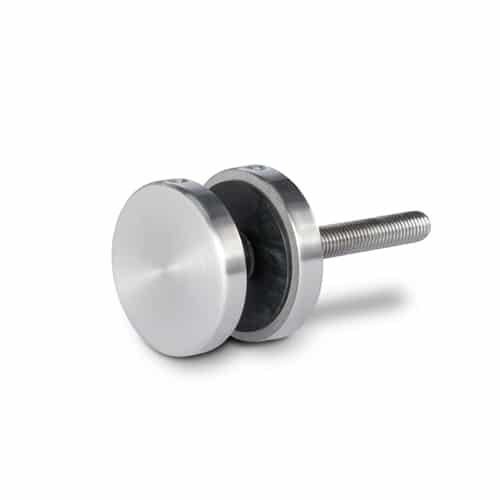 Using only high quality G316 Stainless Steel and tubes/components all finished to a grit of 320, it really is a cut above the rest. With a wide range of fixing options, SMART Stainless Steel balustrade can adapt to almost any application and withstand loadings of up to 1.5kN. A variety of infills can be used including 10mm toughened glass panels, 12mm horizontal mid-rails, perforated steel, vertical slat panels and wire rope, each of which offering a different design feature. At SMART we offer a complete supply and install service and we are more than happy to put of 30+ years’ experience to good use by advising the best fixing method for your project. to ensure compliance to all relevant building regulations.